We had the opportunity to ask Catherine Lucie-Horber, the Principal of Royal Interior Design Ltd , what trends she sees being popular in 2015 design. 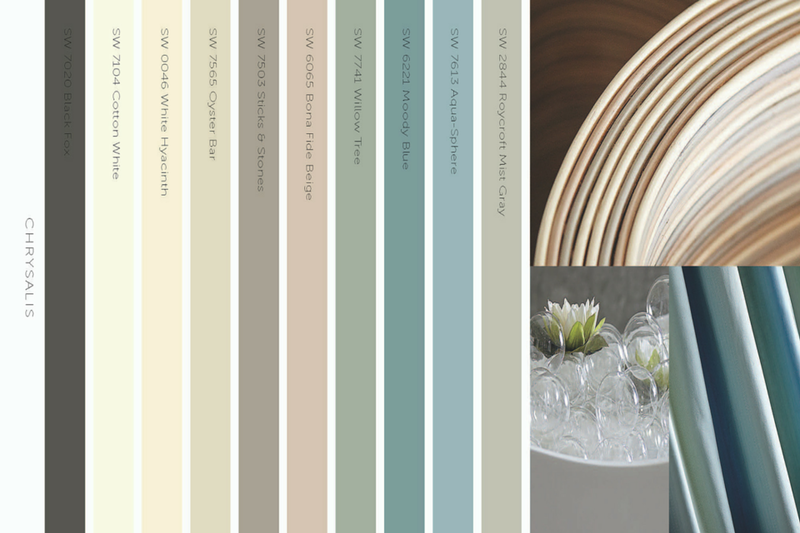 Here's what she shared as her 2015 design trend predictions for home decor. The beauty about styles and trends is that they are a never ending cycle. Often when it comes back it is with a BANG! Either bigger and better or just worse than ever. I am happy to see some of the evolving new trends. Often working with clients I can show them things that are so beautiful and in style like a bold beautiful wall paper for an accent wall, or stunning patterns on drapery fabrics and I will hear things like; “Wallpaper and drapery remind me of something that was in my grandmother’s house!” I know what they are referring to but the current trends happening are not the same thing. The reality is that it is not necessarily the item that classifies a material or finish as being in style… but really its application, content, balance and how it is being used. Wallpaper is one of the trends that has come back with a huge BANG! 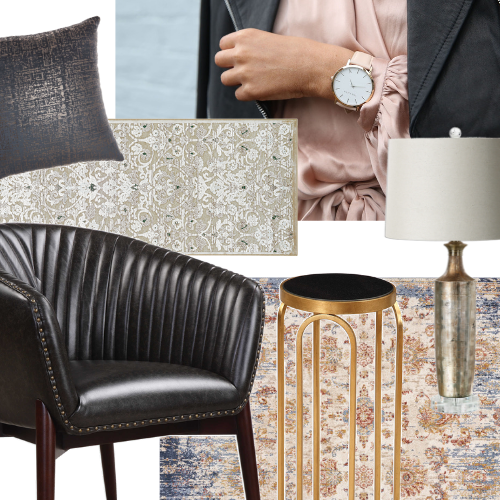 And now more then ever as we are seeing them be bolder with added rich velvet textures, shiny metallics, even crocodile skin and leather textures! The bolder the better it seems. One beautiful carefully chosen textured wallpaper can be a stunning focal point to any room and we'll be using wallpapers throughout 2015! Colorwise, I see the continuation of rich dark navy blues… You can see dark navy in many big design staple stores, in new fabric collections from major manufacturers etc. It is rich, classy and hard to go out of style. It is often combined with another major trend lately the use of gold!! Yes it is back... lots of gold, either in chandeliers, in stunning accent lamps, decorative vases, or even many accent and coffee tables will have gold mixed with white marble. Large bold prints and florals on fabrics are coming back with a large influence in accent pieces and I plan on working with this trend with use of my accents such as big pillows, drapery or accent chairs in spaces. A surprisingly widely used theme being seen everywhere in the form of either artwork, fabric, vases or decorative accessories has been the use of bones, skulls, bull heads and horns. They come in many shapes, textures and colors. I have already started working these elements into my current design projects. Asian influences are also seemingly strong with chinoiserie patterns in fabrics, vases, bowls and various other applications. Buddha statues are conducive to be placed in both casual and elegant interiors.